Ambergris Caye, Belize, November 26, 2016	(Newswire.com) - ​Belize will welcome long-time hotelier Francis Ford Coppola to their list of Hollywood names investing in the countries islands as he reveals his private island resort in southern Belize. If tourists are looking for a perfect island to hideaway, then Belize would probably be a perfect choice in Central America. As the New Zeland Herald says in their report, the Hollywood actor Coppola bought a private island in Belize to be his next luxury resort and third in the county. If Leonardo DiCaprio bought Blackadore Caye to create an eco-friendly resort, and Ambergris Caye is the top tourist destination in America, Coral Caye is definitely the best hideaway island. It is located 13 kilometers off the coast from Placensia, Belize. Hence, its location made it the perfect contrast for tropical island lovers to get away from everything and relax all day long. Francis Ford Coppola is not just a famous Hollywood person. He is a very talented man who doesn’t want to stay in one place. As a matter of fact, Coppola is a director, screenwriter, and a well-known producer. He is known for making the The Godfather movies, among other accomplishments. However, what other people didn’t know about Coppola is that, he is also a businessman. From film to wine, and resorts, he is restless. But his passion for wine cannot hide with more than 35 years in winemaking where other celebrity winemakers and athletes can’t beat him. According to Forbes, Coppola is not new in winemaking since he bought his first vineyard back in 1975 after getting a hit from The Godfather films. In addition, Coppola is also fond of resorts. This is why he owns the Family Coppola Resorts that offers cinema, food, wine, and adventure. However, his new property in Belize offers something new. It is his latest property of Coral Caye that would offer that most fantastic and most authentic deserted island experience. Coral Caye is only 2 acres that made it the perfect island to provide an authentic island experience. It would only take guests 5 minutes to stroll around the island. It is planned to be a rustic retreat that is a 20-minute boat ride from Coppola’s family resort Turtle Inn. Therefore, this private spot is the only place in Belize’s mainland that accommodates tourists together with its private island. Indeed, Belize never fails to surprise tourists all over the world. The countries raw beauty is inviting everyone to experience this new Coppola island Coral Caye to bring their adventure to the next level. It is time to bring out the little Huckleberry Finn in everyone and stay in Coral Caye’s two wooden cottages. For couples, there is the Apocalypse Now package. It converts the whole island into their private romantic escape. 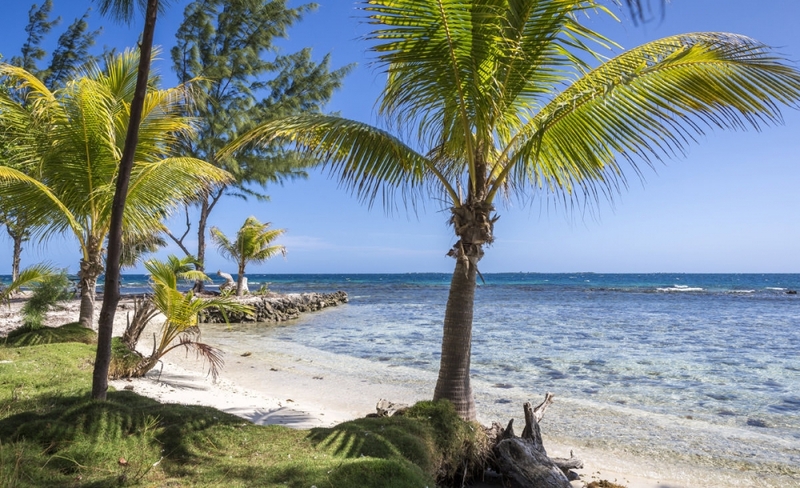 However, as a package of their little private getaway, televisions are not available in Coral Caye. However, Wi-Fi and mobile reception can be accessed to make sure they won’t miss anything important. A lot of activities and equipment are available on this private island especially the magnificent view of the Maya Mountains and of course, the beach.